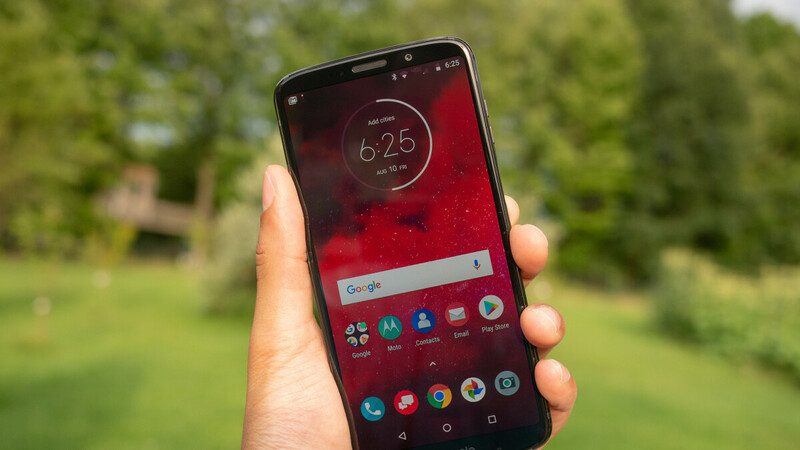 Motorola Moto Z3Verizon has just kicked off the Moto Z3 Android 9.0 Pie rollout, but what makes this one stand out from other phones receiving the update is that it includes one feature that only a handful of other devices are capable of – 5G support. The Android 9.0 Pie for Moto Z3 comes with 5G Moto Mod support, which will allow users to take advantage of Verizon's 5G network once it's deployed later this month. 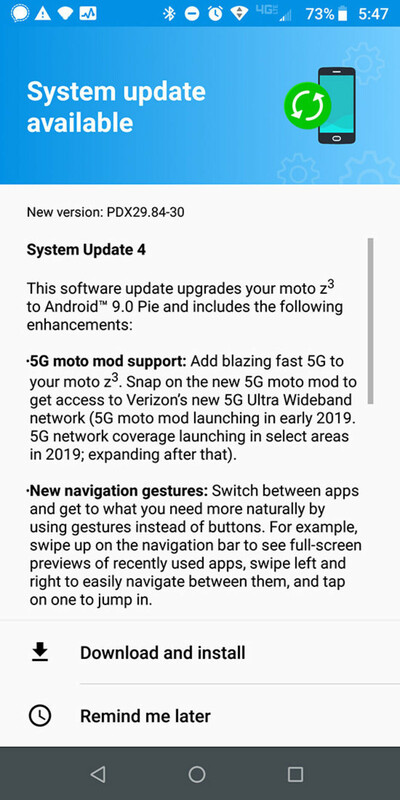 Droid-life reports the update includes new navigation gestures beside 5G Moto Mod support and all the new features and improvements of the new Android 9.0 Pie OS. Now, if you manage to get the update until the end of the next week, you'll most certainly be able to hook up on Verizon's 5G network, assuming you live in those cities where the carrier will deploy it. The Big Red announced customers in Chicago and Minneapolis will be the first to experience 5G speeds, starting April 11. However, by the end of the year, 30 cities should be covered by Verizon's 5G network or at least parts of these cities. Thankfully I don't live in a 5G ready area. That mod is almost as much as the Z3 was.